Football fans, it’s almost game day! Looking for a party game? 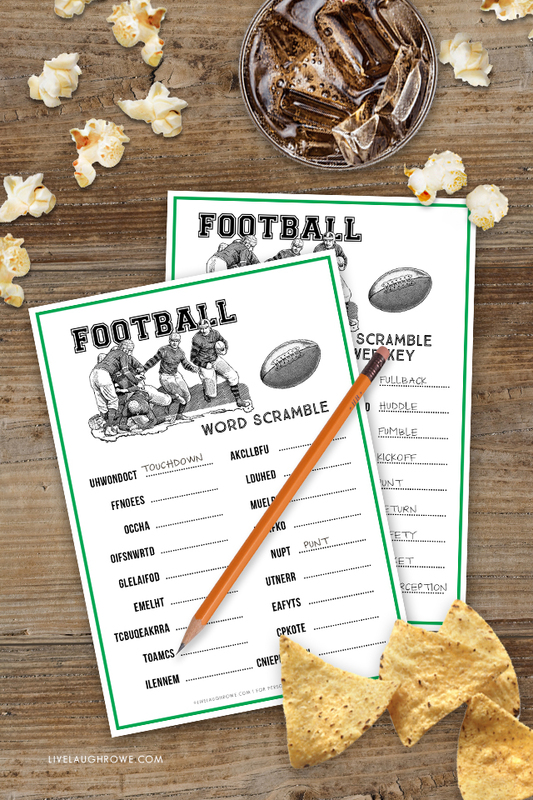 This Football Word Scramble will provide some great fun — and it’s FREE! 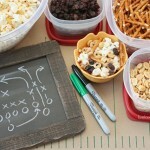 Print this Super Bowl Party Game today and set a timer. Who can unscramble the most correctly?!? 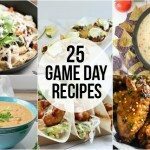 As of right now, football season is winding down, but there is one BIG game quickly approaching — the Super Bowl. I can’t say I have a favorite team, but I usually route for an east coast team (except the New England Patriots). The Philadelphia Eagles winning last year (2018) was HUGE! I was born in Philly, so it’s an understatement to say that my family was STOKED! This year we were rooting for the Kansas City Chiefs. What a bummer when they lost the conference finals. Womp womp womp! It’s safe to say that I’ll only be watching the Super Bowl this year for the halftime show and commercials. How about you? Who will you be rooting for? 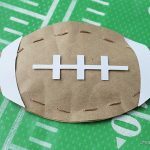 I’m not a huge fan of football (because I don’t understand it), it is something my husband enjoys. So, I tend to be in the loop. And, if you’re going to have some friends over — why not have a party game or two on-hand? Party games are something I usually enjoy — especially if they include pen and paper. 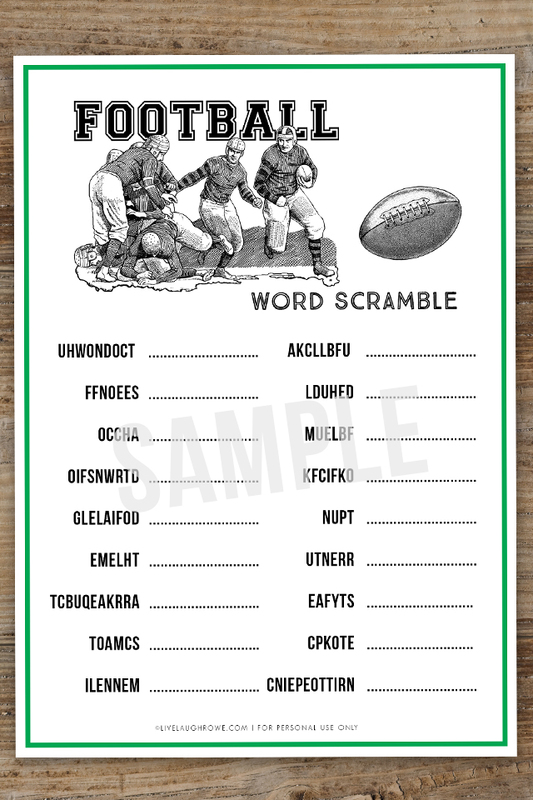 Some of my favorite games include Jumble, Word Search Puzzles, and Word Scrambles. They keep your mind exercising too, so it’s a win-win. All that to say that I hope you’ll enjoy this game as much as I did! 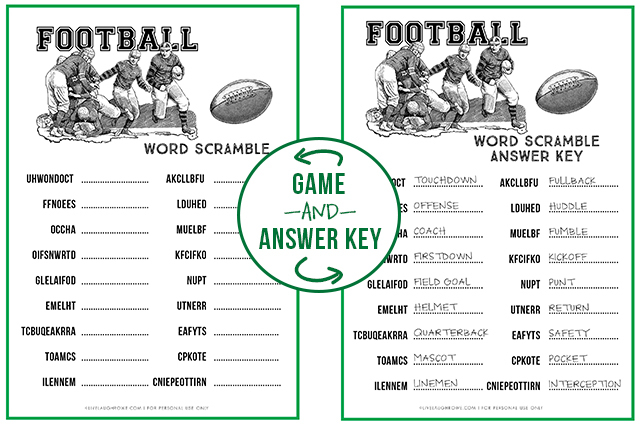 The printable game is sized at a 5×7, two per sheet — with a separate answer sheet. We wouldn’t want anyone cheating (hee-hee). Before officially sharing the printables with you, I had to say something about the vintage graphics. 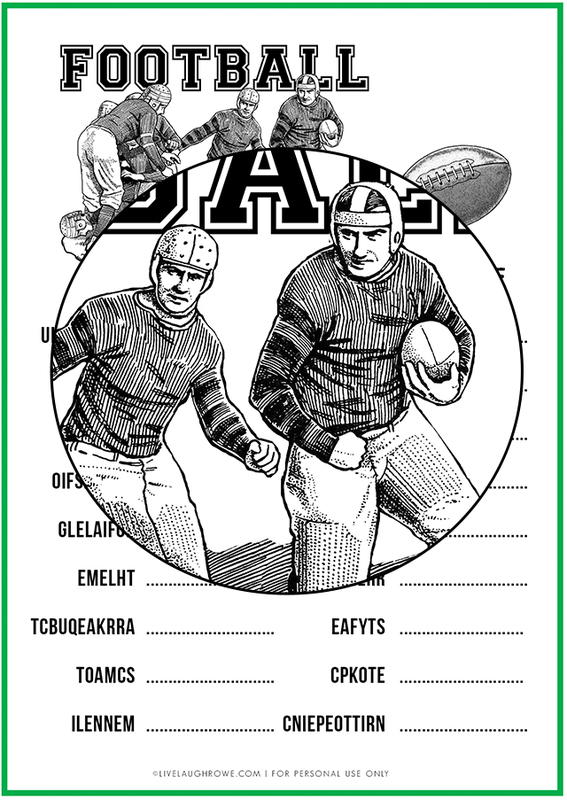 You can find all kinds of football clipart, but I was super excited to find some with an older, vintage feel. It kind of takes you on a quick journey back in time, ya know? They certainly didn’t have all the protective gear the players have today, do they? Nevertheless, it’s fun to see how far we’ve come in every arena of life. And I loved the details in these graphics. Go TEAM Go! Enjoy — and good luck. 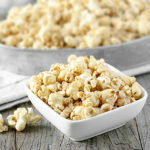 Homemade Caramel Popcorn — Easy and Delicious Snack!